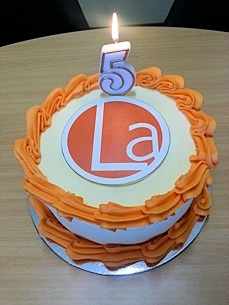 Can you believe that it was five years ago that Lidgerwoods Accountants opened our doors for business in Wodonga? That’s right – on 1st December 2010, both Marc & Sophie took the huge step to service our loyal clients here in Wodonga, and we certainly are not looking back. Since beginning with a very small client base of about 150 individuals and their respective tax entities, our firm keeps growing day by day and presently we now look after the tax affairs of over 550 individual clients and their business entities. Amazingly our firm lodged over 1,000 income tax returns and activity statements in the most recent year and on target to well exceed this again in the current tax year. This continued growth has in that time seen the firm expand into more space, and employ several local qualified staff to assist us to meet this demand. We are all here looking forward to the next five years (and beyond). Typical of past newsletters we have attached a few tax related articles that may (or may not) be of interest to you, so please take a few moments to go over these in case something may be relevant to your personal circumstances. If you need to discuss or clarify any of the items in this newsletter, we welcome your enquiry. Farmers would be able to fully deduct the cost of water facilities and fencing in the year they were purchased, and deduct the cost of fodder storage assets over three years. The Treasurer has now announced that this measure will be brought forward to acquisitions of these assets after 7.30pm 12 May 2015. Farms with turnover of less than $2 million are also eligible to immediately write-off all asset purchases up to $20,000. Editor: Any of our farming clients that need to discuss the above deduction claims should contact our office. This can affect 2015 tax year acquisitions if made in the last seven weeks of the 2015 tax year. Currently, taxpayers have an option to use one of four methods to determine their work related car expense deductions. The government is proposing to reduce the number of methods by removing the '12% of original value method' and the 'one-third of actual expenses method'. These methods have been used by fewer than 2% of those who claim work-related car expenses. The other two methods, the 'cents per kilometre method' and the 'logbook method' are being retained. The 'cents per kilometre method' is also being changed by replacing the three current rates based on engine size with one rate set at 66 cents per kilometre, which applies to all motor vehicles. The government says that these changes will enable taxpayers who drive electric and hybrid vehicles to claim on a cents per kilometre basis, which is not currently an option for them. The amendments apply to the 2015/16 income year and later income years. Editor: Need to keep this in mind for tax return claims in 2016 – but as the article suggests we too do not have many clients using the two claim methods proposed to be axed. Many of our clients do claim currently on a cents per km method at as much as 77 cents per km, so these claims may drop by 15% in 2016 tax returns. As a result of user feedback, the ATO has improved their ATO Small Business app and it continues to expand in functionality and usability. ABN Lookup, which verifies business details. Tax withheld calculator, which shows how much tax to withhold. Key dates, which can set important tax and super reminders and alerts. Report a concern, which enables users to report suspected tax evasion. The ATO has also released a new function for the app which includes a business performance check tool (which provides a snapshot of profitability, cash flow, working capital and debt serviceability). It also compares a business's performance against similar businesses in its industry using the benchmark database. Another online tool that came live recently is "myDeductions", which allows taxpayers to upload their receipts and information for deductions for the 2015/16 year. Taxpayers are advised to simply take a photo of a receipt and upload it. Data will be stored in the taxpayer's mobile device and, at the end of the financial year, can be shared with their tax agent. Editor: For any clients importing products this will a massive change. And for our clients who love to buy goodies online – you can expect a small jump in prices from July 2017. Editor: If you owe amounts to the ATO that are overdue, you will be charged interest (presently 9.14%) irrespective that you have a payment arrangement in place or not – be warned. If you need assistance to make a payment arrangement, please contact our office. The ATO has reminded taxpayers that, from 1 July 2015, a new two-tier company tax system took effect and applies to all companies. Importantly, companies don’t need to do anything now – if identified as a small business, the new rate will be automatically applied to their PAYG instalment rate calculations also. Editor: Note that a capped 5% tax discount, designed to broadly mirror the small business company tax cut, was also introduced for unincorporated small businesses from 1st July 2015. It will be delivered to individual taxpayers in receipt of small business entity income via the ‘small business income tax offset’.